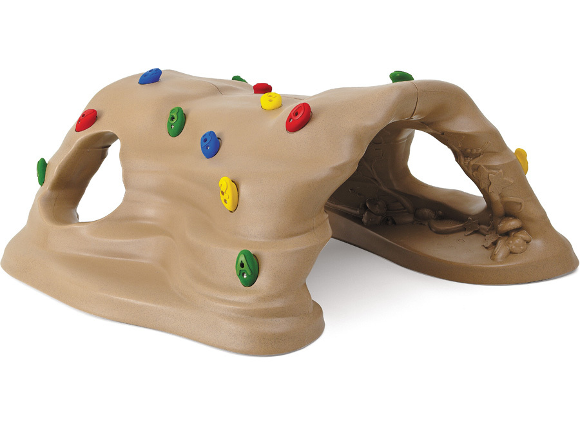 Get small bodies moving by offering playground activities that promote motor-function development with the Climb & Discover Cave. Crawling, balancing, and overhead climbing promote muscle development and coordination for young children. 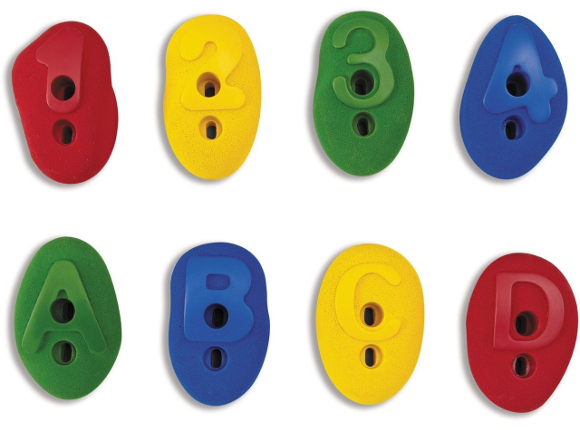 Young children will also improve their visual acuity with the vibrant primary colors of the climbing handles, which clearly display both letters and numbers. 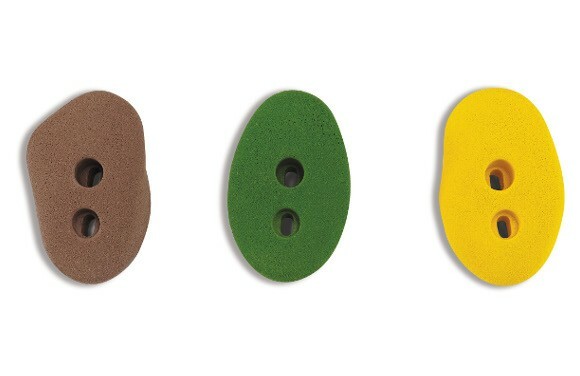 Kids can create their own games by following the alpha- or numeric-sequence of the climber handles. They'll also be inspired by the molded interior of the cave which allows them to discover new details each time they play, including: mushrooms, a turtle, a ladybug, a bird, leaves, and more. designed for children ages 2 to 5, and your community will rest easy knowing you've contributed to environmental conservation efforts since it is constructed from recycled metal and plastic. 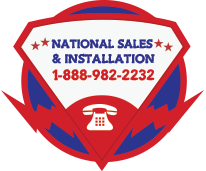 It meets the public playground safety standards mandated by the ASTM and the CPSC.